Configuration: 8 boxes per case. 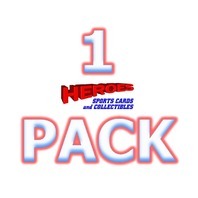 12 packs per box. 32 cards per pack. 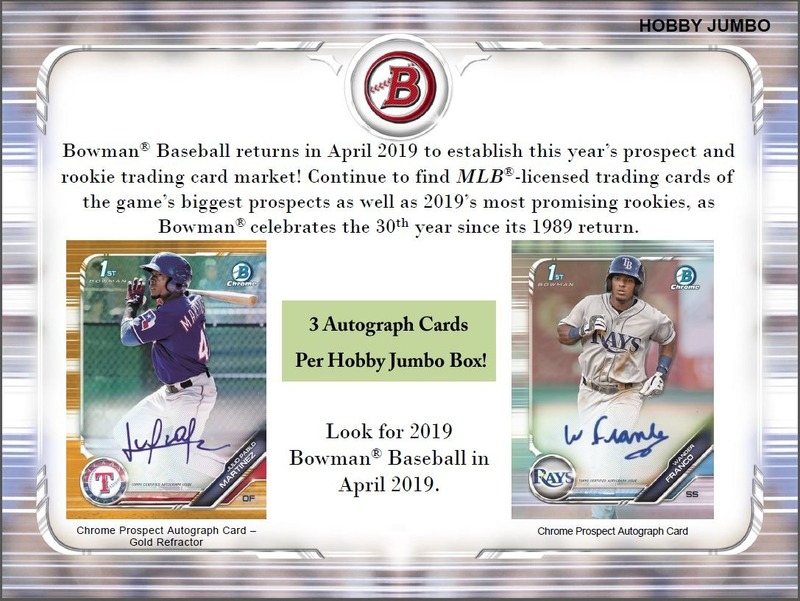 Bowman Baseball returns in April 2019 to establish this year’s prospect and rookie trading card market! Continue to find MLB-licensed trading cards of the game’s biggest prospects as well as 2019’s most promising rookies, as Bowman celebrates the 30th year since its 1989 return. 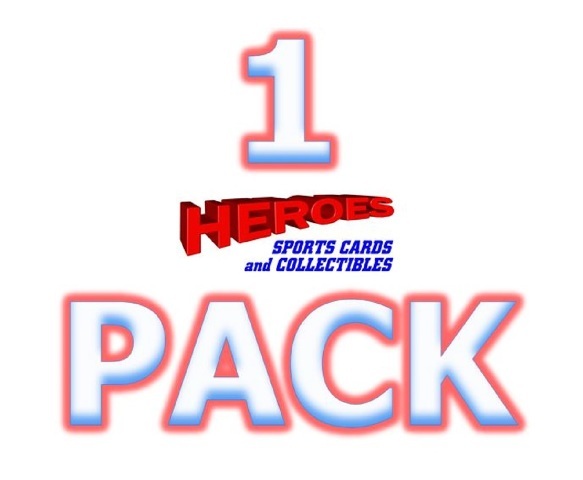 3 Autographs Card Per Hobby Jumbo Box! 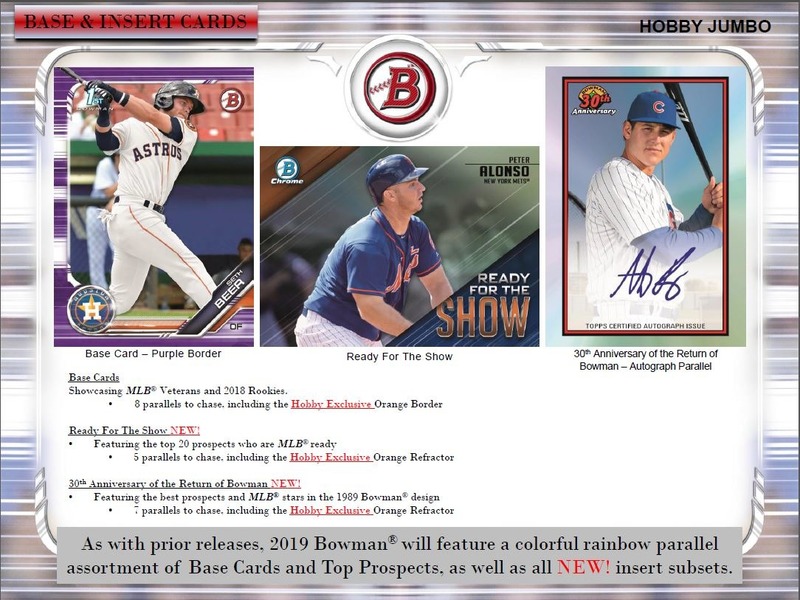 As with prior releases, 2019 Bowman will feature a colorful rainbow parallel assortment of Base Cards and Top Prospects, as well as all NEW! insert subsets. Showcasing MLB Veterans and 2018 Rookies. Ready For The Show NEW! 30th Anniversary of the Return of Bowman NEW! 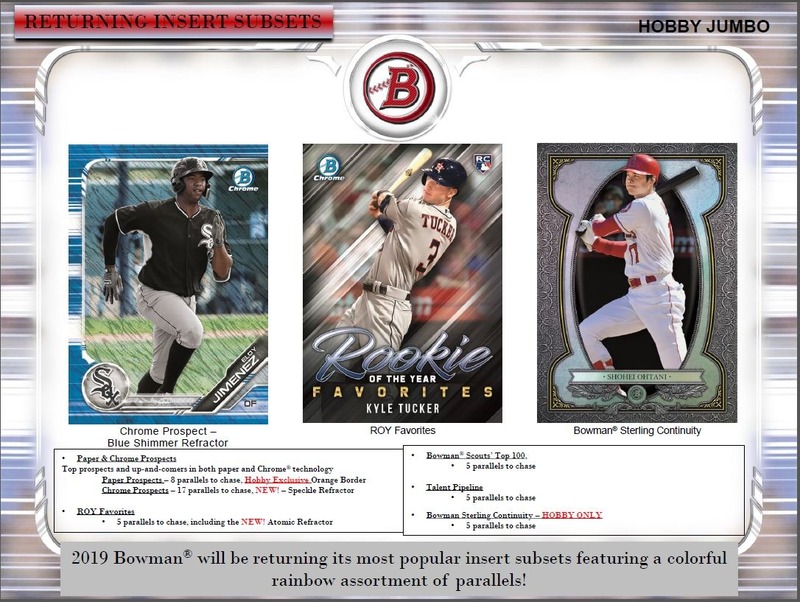 2019 Bowman will be returning its most popular insert subsets featuring a colorful rainbow assortment of parallels! 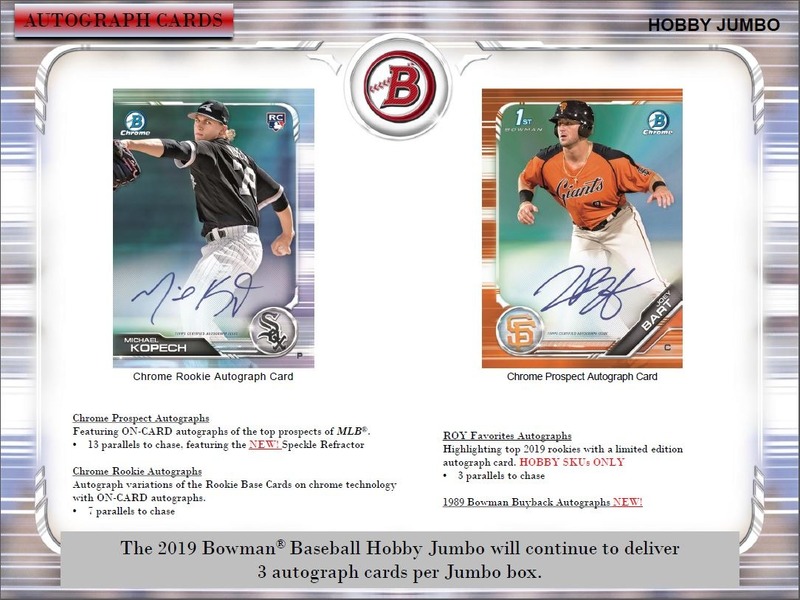 The 2019 Bowman Baseball Hobby Jumbo will continue to deliver 3 autograph cards per Jumbo box.. Featuring ON-CARD autographs of the top prospects of MLB. Autograph variations of the Rookie Base Cards on chrome technology with ON-CARD autographs. 1989 Bowman Buyback Autographs NEW!